PAULDING – Today, LafargeHolcim announced plans to build three wind turbines to help power its cement plant in Paulding. Adding the turbines is part of the company’s commitment to improving manufacturing operations, controlling costs and operating sustainably. The turbines will begin construction in December and will be built in partnership with One Energy. The three Paulding turbines are expected to generate more than 12 million kWh annually, enough to power approximately 1,200 average households for an entire year based on the U.S. Energy Information Administration and should eliminate the equivalent of more than 9,000 annual tons of CO2. To contribute to the continued success of the community surrounding the Paulding plant, LafargeHolcim will create three $5,000 Megawatt Scholarships – one per turbine for a total of $15,000 annually – to be awarded each year the turbines are in operation. The Megawatt Scholarships will be awarded annually to local high school graduates pursuing a two-year or four-year STEM degree. Additionally, One Energy will pay $27,000 annually in local property taxes. The Paulding cement plant first began operations in 1956 in Paulding and currently employs 84. The plant produces Portland cement (Type I) and Masonry (Type N, M and S). Paulding has an annual capacity of 500,000 metric tons, supplying markets in Ohio, Indiana, Michigan and Illinois. The Paulding plant operates with the highest level of alternative fuel replacement in the world. Operating in compliance with HWC-MACT, more than 95% of the plant’s thermal energy requirements come from Fuel Quality Wastes out of other industrial processes, thus virtually eliminating the use of fossil fuels. Systech, a fully owned subsidiary of LafargeHolcim, operating on site provides the Paulding cement plant with fuel quality wastes. Paulding has been using fuels that are a blend of waste paint, paint thinners, inks and oils that contain heat value similar to fossil fuels successfully since 1978. 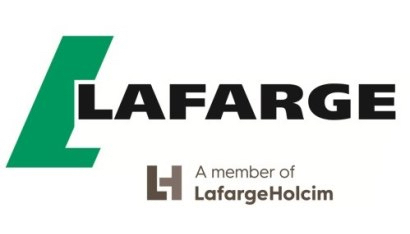 In the United States, LafargeHolcim companies include close to 350 sites in 43 states and employ 7,000 people.